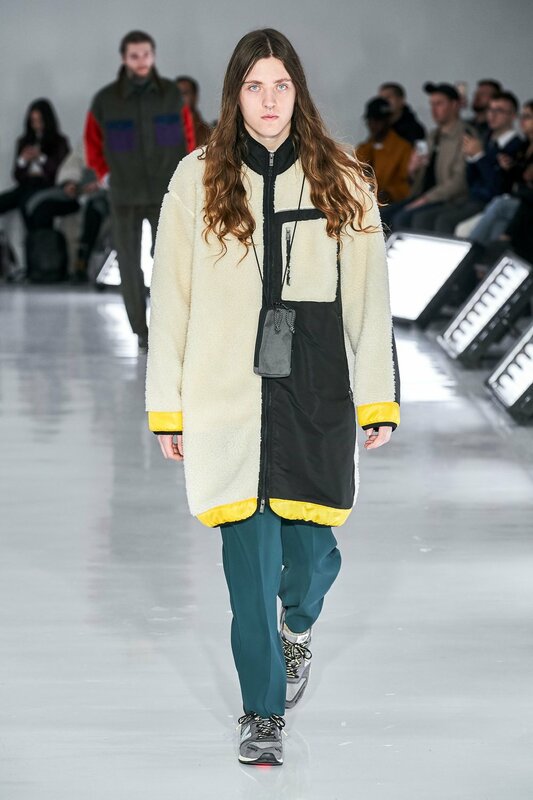 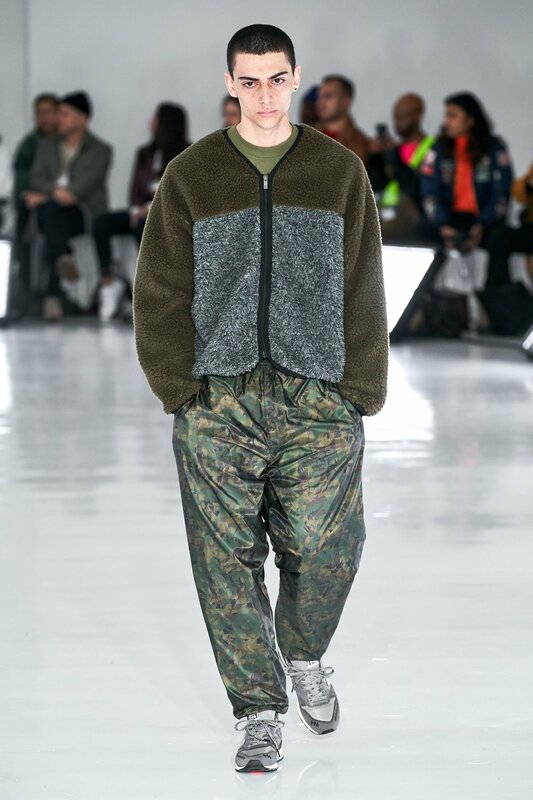 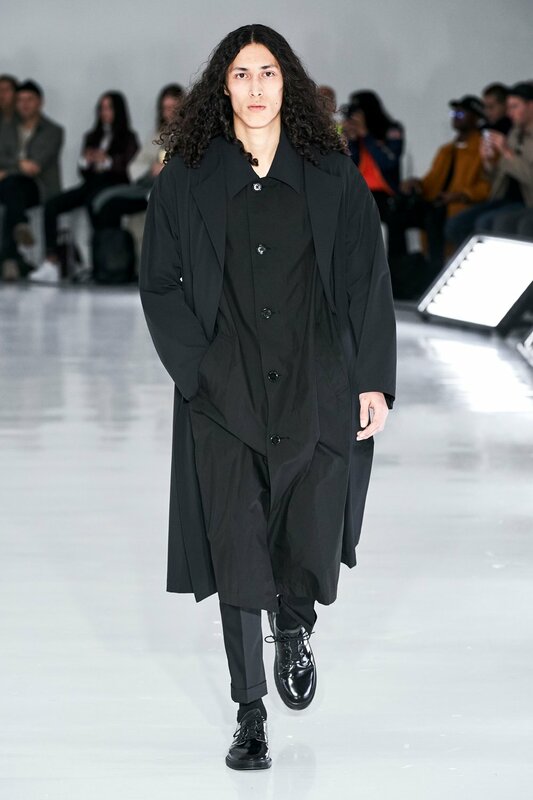 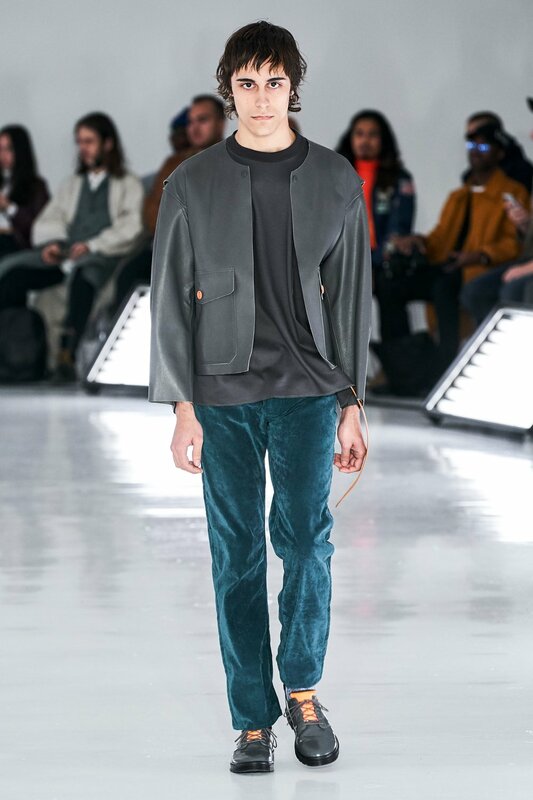 Daisuke Obana infused camouflage patterns and bright prints with vintage and military influences in the latest N.Hoolywood Autumn/Winter 2019 runway show presented at New York Fashion Week. 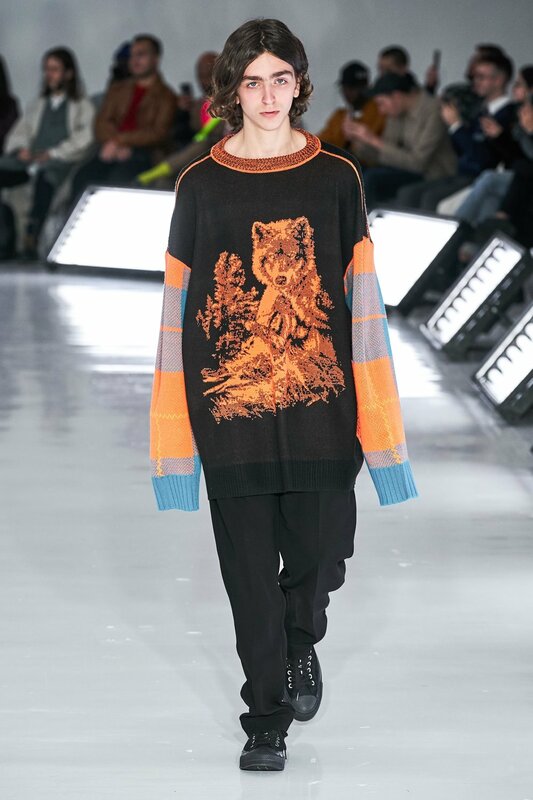 The latest collection pushed Obana’s comfort zone with the bold statements made through utilizing large graphic prints of wolves and nature alongside oversized Christmas-inspired sweaters. 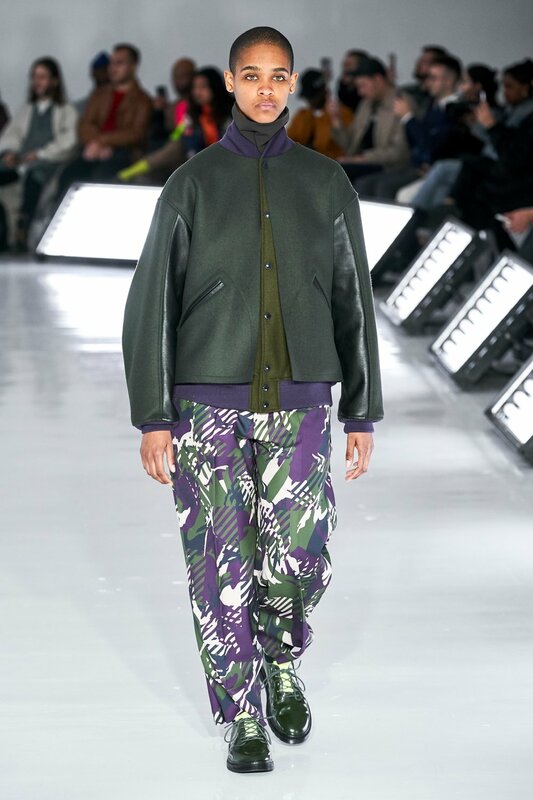 Matching tops and bottoms of brightly colored striped patterns placed in haphazard locations and purple and green camouflage patterns bring a contrasting vibrancy when paired with punk leather jackets and skinny jeans. 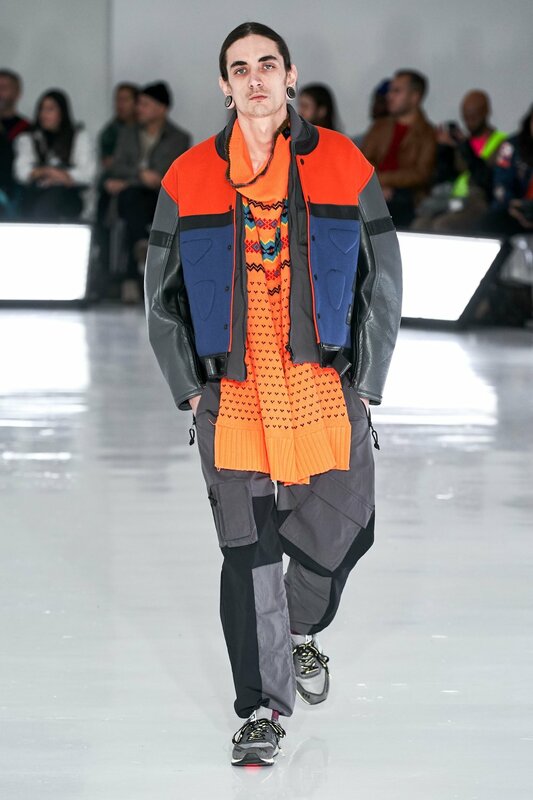 Patchwork is also widely utilized throughout military-influenced pieces such as earth-toned parkas and vintage-inspired denim washes. 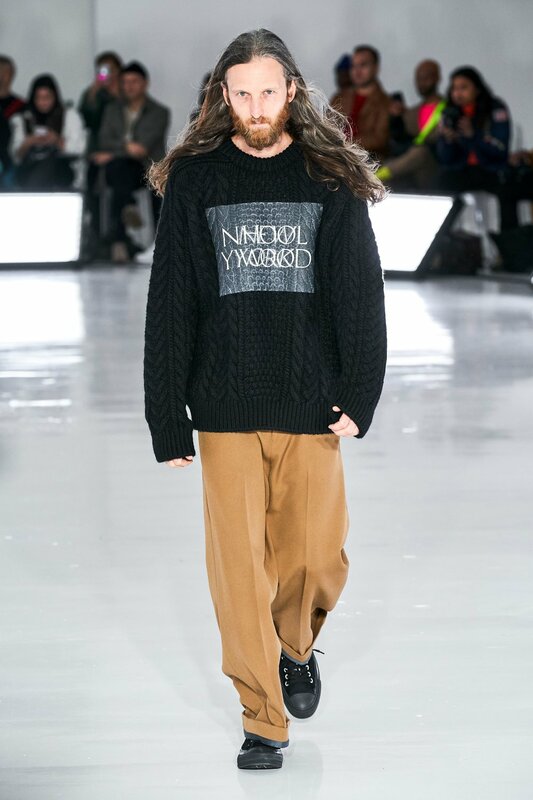 Check out the entire runway show in full below.